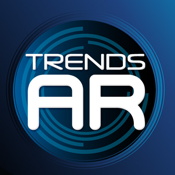 Become part of the action with VirtualShot, the augmented reality app that allows you to join the scene of any Trends International-branded AR-enabled products. Here’s how it works: So you’re in a store and you find this awesome poster and you think, “Hey, I would look cool posing with the awesome character on my poster.” Well, you’re about to find out. Using your mobile device, take a picture of yourself next to our poster. Now YOU are virtually part of the poster! And that photo has just been stored on your phone for future fun.